Friday 10am: ‘Namarie: Farewell Tolkien Track’. TORn staff will be joining Track staff to reminisce and celebrate the Tolkien Track – and look forward to the continuation of friendships and community, for many years to come, even without the Track. Friday 7pm: ‘Elf Choir’ – come along and join in! Saturday 4pm: ‘Preciousss Moments with Gollum and Sméagol’ – lead by Constance Wagner, whose very popular panels are always fascinating and insightful. Saturday 5.30pm: ‘Beren and Luthien’ – a closer look at the latest Tolkien publication. Monday 10am: ‘Still Tolkien About It: 80 Years of Middle-earth’. Join TORn staffers deej and greendragon, together with scholar Constance Wagner, to look back on the past 80 years since The Hobbit was first published. What has made Middle-earth such an enduring passion – and to what can we look forward? 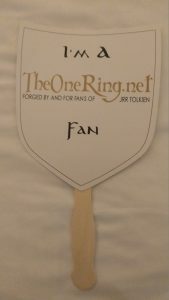 All of the above are in the High Fantasy Track Room – L401-403 in the Marriott (where the Tolkien Track was in the past). In addition, on Friday night we have, of course, the ever popular Evening at Bree! This will be held in the Hilton Grand Ballroom West, from 8.30pm – be sure to get in line early! We have a party of special magnificence planned this year! Bands Toucan Dubh and the Brobdingnagian Bards will be providing live music, followed by a dance party hosted by our very own DJ, deej. We’ll also have the costume contest and the performance by the Elf Choir, plus this year you can expect one or two special surprises. With the theme of ‘Class of 3018 Prom – Enchantment under the Mountain’, we’ll say farewell to the graduating Tolkien Track seniors; and your host Prom Bombadil will be there to make the evening go with a ring a dong dillo! On Sunday night you can hear the Brobdingnagian Bards again, playing Hobbit Drinking Songs in the Hilton Crystal Ballroom from 8.30pm. And of course TORn has a table! Come and find us in our usual spot in the Hyatt. 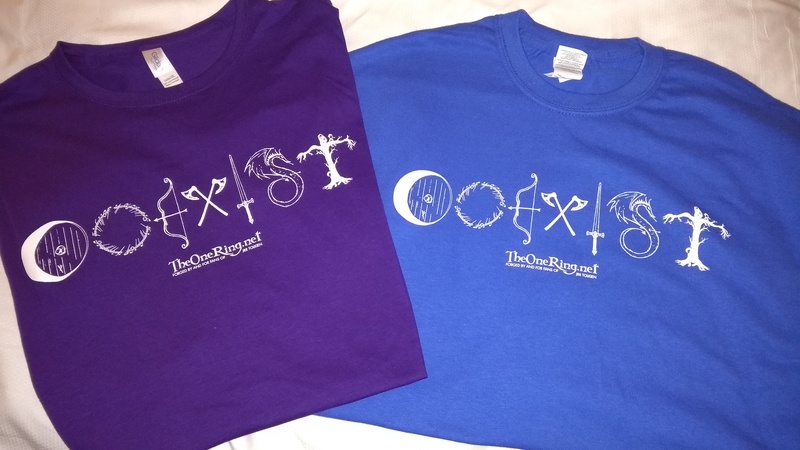 For shirts this year we’re bringing back an old favourite – the Lake-town Fire Department – and we have a fabulous new design, encouraging the races of Middle-earth to Coexist. We also have new buttons, fans, and lots of prizes you could win. Come and check out all the goodies – and be sure to say hi to deej and greendragon! 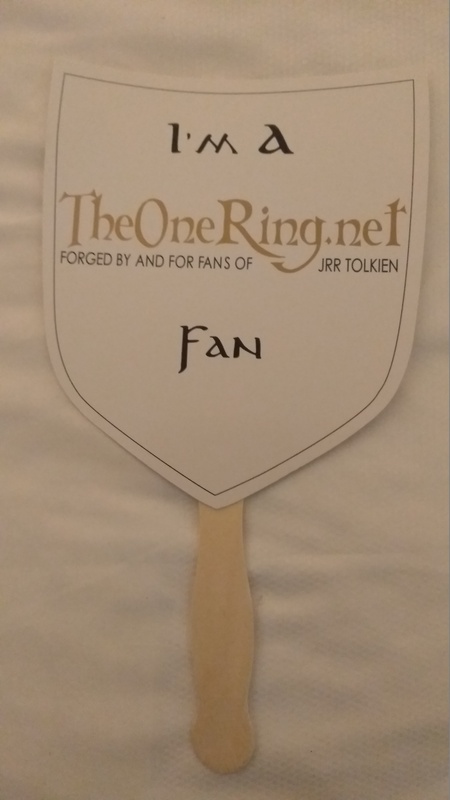 There may not be a Tolkien Track, but Tolkien fans are here in force, and we’re ready for a great weekend of fun and companionship. Half the Shire’s been invited – hope to see you, too!